How can I move domains between Portfolios? 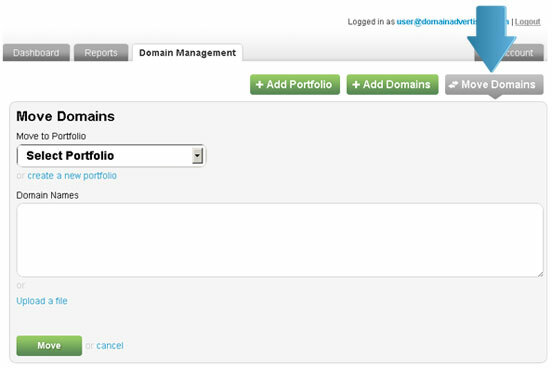 To move domains between portfolios, click on the 'Move Domains' button on the 'Domain Management' page. Select the destination portfolio using the dropdown and paste the domains in the text box provided. Click on 'Submit' button and your domains will be moved to the destination portfolio.